Gonzalo Higuain’s euphoric reaction to his first of the night told you everything there was to know. With 10 Juventus team-mates behind him, the centre-forward realised its true value. Not only a goal but an away goal. More than a goal. Not only an away goal but an away goal for a team with a defensive unit true to the finest Italian traditions. 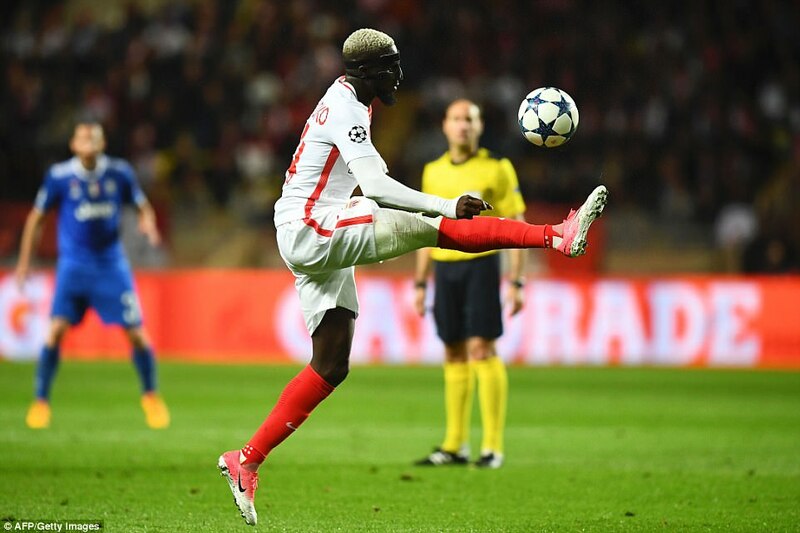 MONACO (442): Subasic 6; Dirar 6.5, Glik 5, Jemerson 6, Sidibe 6; Silva 6 (Toure 81), Fabinho 6, Bakayoko 5 (Moutinho 66, 5), Lemar 5.5 (Germain 66, 5); Mbappe 6.5, Falcao 6. SUBS NOT USED: De Sanctis, Jorge, Raggi, Cardona. JUVENTUS (4231): Buffon 7.5; Barzagli 6.5, Bonucci 7.5, Chiellini 7, Sandro 6; Pjanic 6 (Lemina 89), Marchisio 6.5 (Rincon 81); Alves 7, Dybala 6.5, Mandzukic 5.5; Higuain 8 (Cuadrado 77). SUBS NOT USED: Neto, Benatia, Asamoah, Lichtsteiner. This Juve team are not afraid to apply the padlock when necessary. Barcelona with the talents of Lionel Messi, Neymar and Luis Suarez were kept at bay for 180 minutes in their quarter-final. Monaco may be exciting and they boast verve and flair and oodles of potential in their youthful ranks but this cross border raid by the Old Lady of Italian football was vintage. 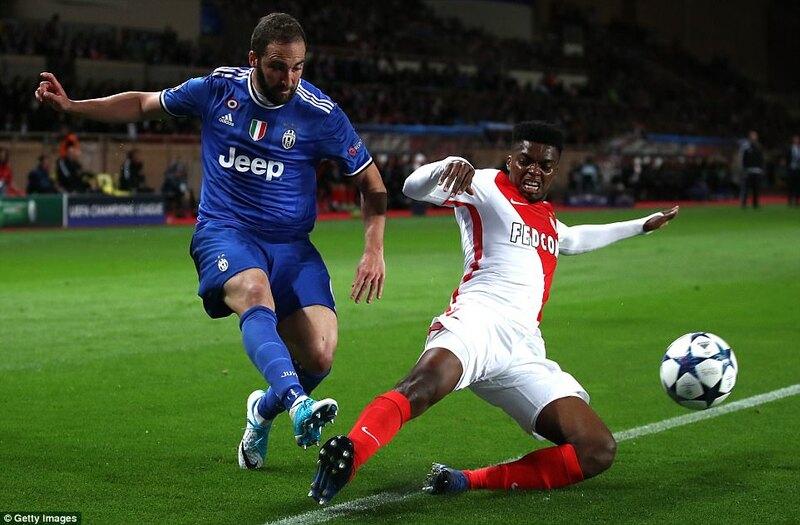 When he struck in the first-half, Higuain vaulted the pitch-side LED screens selling the goods of UEFA partners, one of which claimed to be “priceless”, and headed for the Juventus fans with arms outstretched. 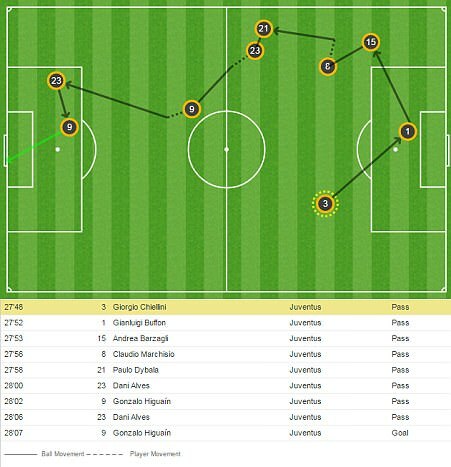 It was an exquisite goal, featuring a chain of passes involving eight of the 11 players and the away fans, like their Argentine centre-forward, understood its importance in the quest to reach the Champions League final in Cardiff. Once they were ahead, the well-organised back-four, dutifully protected by deep midfielders and with Gigi Buffon towering behind seemed to become even more solid. 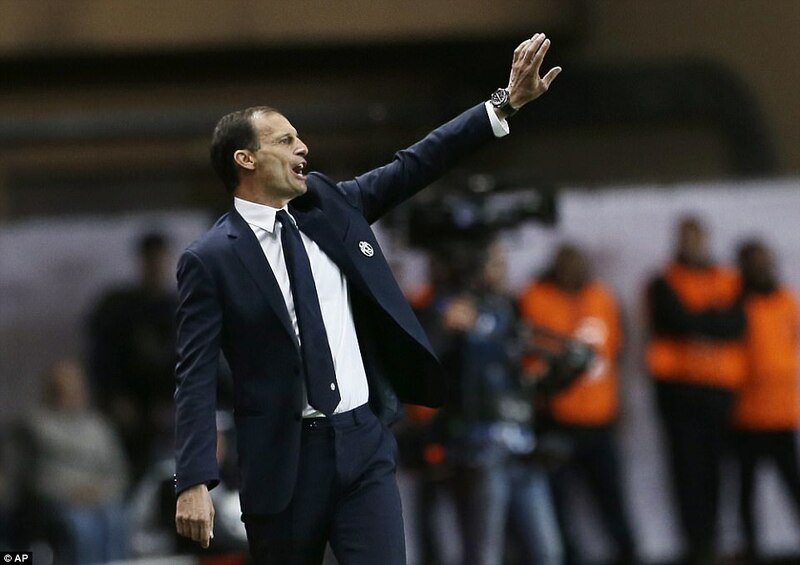 Max Allegri’s team took few risks and managed to retain a threat when they went forward. The second was a bonus, again scored by Higuain and which ought to make next week’s second leg something of a formality. They will not surrender after their remarkable comeback against Manchester City but Monaco appear unlikely to cap a fabulous season with an appearance in the Champions League final for the first time since 2004. This is an entirely different proposition for the emerging force in French football to bagging a flurry of goals past City or Borussia Dortmund in a flurry of goals. With a miserly defensive unit, brilliantly marshalled by Leonardo Bonucci and Giogio Chiellini and veteran Buffon, the Italian champions know how to protect their goal. 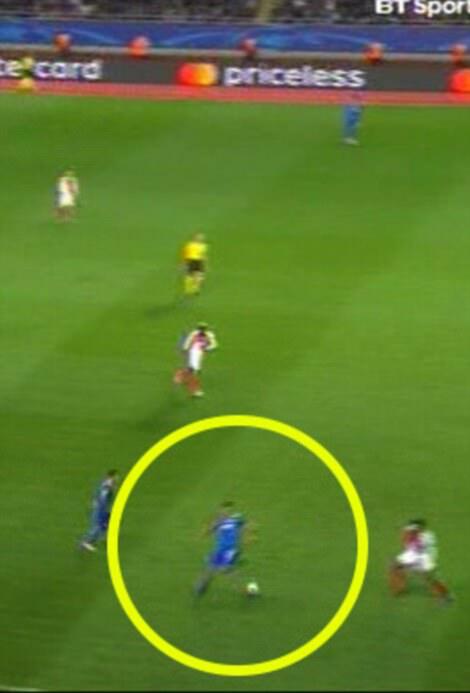 To assist, Allegri made adjustments to his team, drafting in Andrea Barzagli at right-back to offer more defensive protection than Dani Alves, who was pushed upfield onto the wing. Still, the Italians were stretched and grateful for the experience of Buffon who saved twice in quick succession to deny Monaco’s teenage striker Kylian Mbappe. 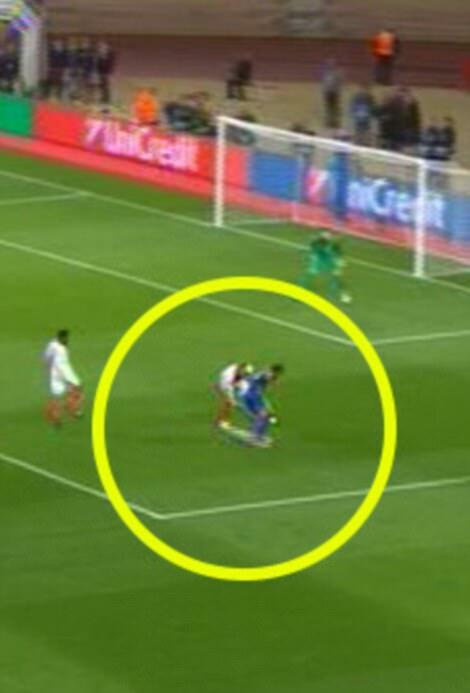 Both chances were created from raiding runs and crosses by right-back Nabil Dirar. The first was delivered perfectly for Mbappe who could only direct his header straight at Buffon. 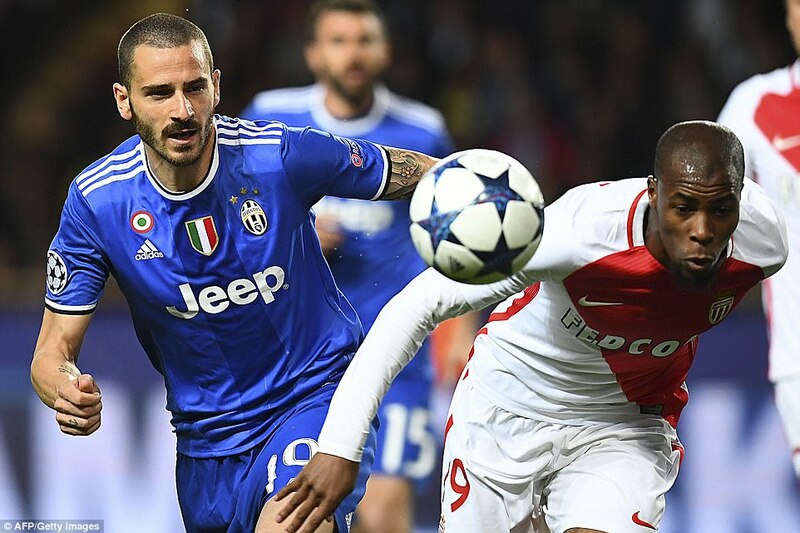 The second was a fine low save after Mbappe had eased away from his marker, Leonardo Bonucci, and applied a flashing volley at the near post. Encouraged, they went forward again. Buffon turned a header around the post from Radamel Falcao and Kamil Glik missed the target with another header from another right-wing cross. Perhaps it was all part of the plan, to lure them out, because as the game approached the half-hour mark, Juventus sprang out and punished their hosts in clinical fashion. Paulo Dybala, Alves and Higuain linked up to release Alves, who produced a back-heel to beat Glik and find Higuain, who ran clear of Tiemoue Bakayoko to sweep the ball past goalkeeper Danijel Subasic. They had Monaco where they wanted them. Frustrated, the home team lost their rhythm and the crowd became irritated by minor decisions which went against them and stoppages in play until they were all able to regroup at the half-time. Jardim’s side returned refreshed and focused. Still there was no easy way past Juve. 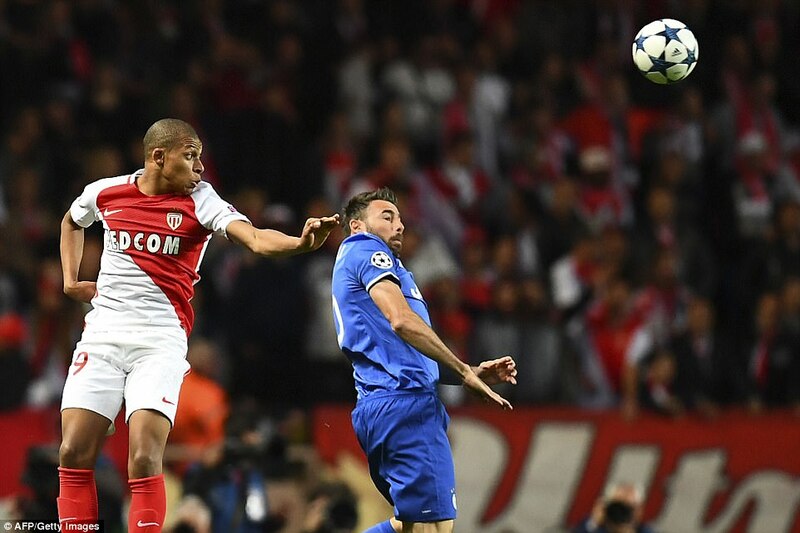 Mbappe jinked into the penalty only to be crowded out and Falcao forced another save from Buffon after a slick pass from Bernardo Silva. Another splendid cross from Dirar eluded everyone and rolled to safety and Juve were dangerous on the break, carefully selecting their moments to commit players forward. Subasic denied Claudio Marchisio but Higuain made no mistake as he drifted away from Glik and converted on the half-volley from a cross by Alves after Bakayoko had been dispossessed in his own half. 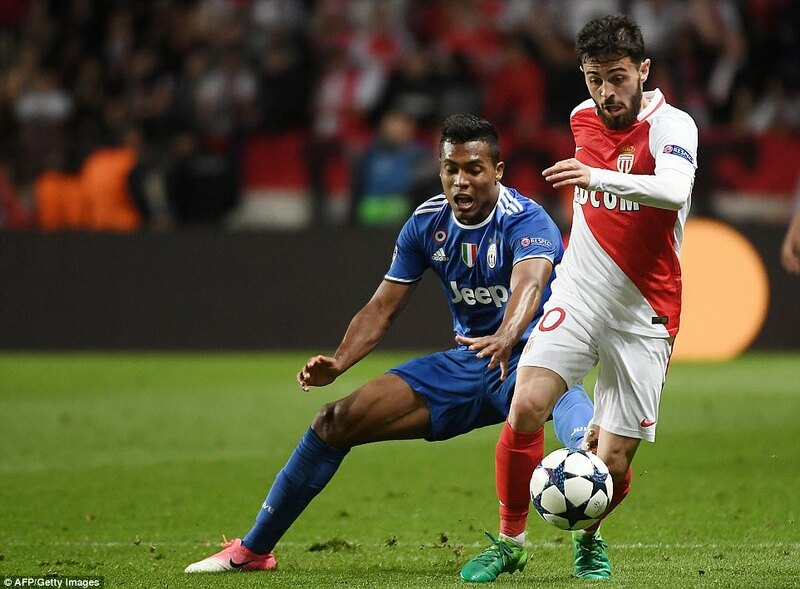 Monaco refused to concede. 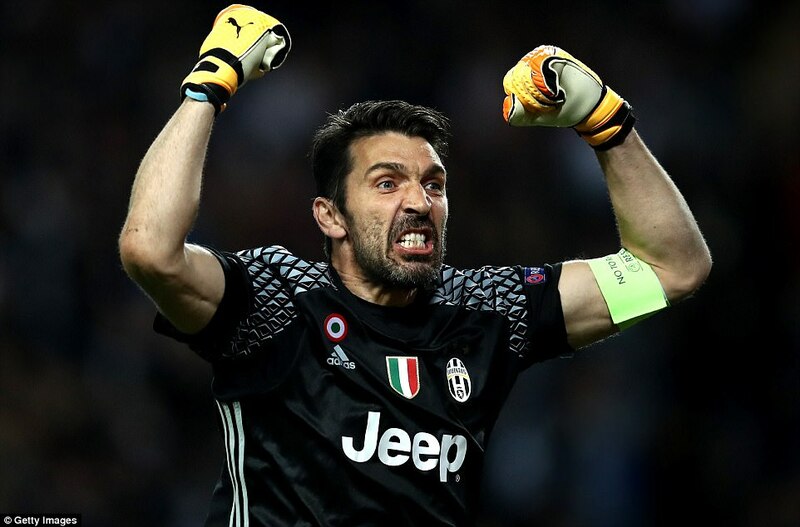 They pushed and pushed some more but Buffon was not to be beaten, turning over a header from Glik in stoppage time to take a two goal advantage back to Turin.